Of course, I really have no intentions of becoming a Henna tattoo artist. 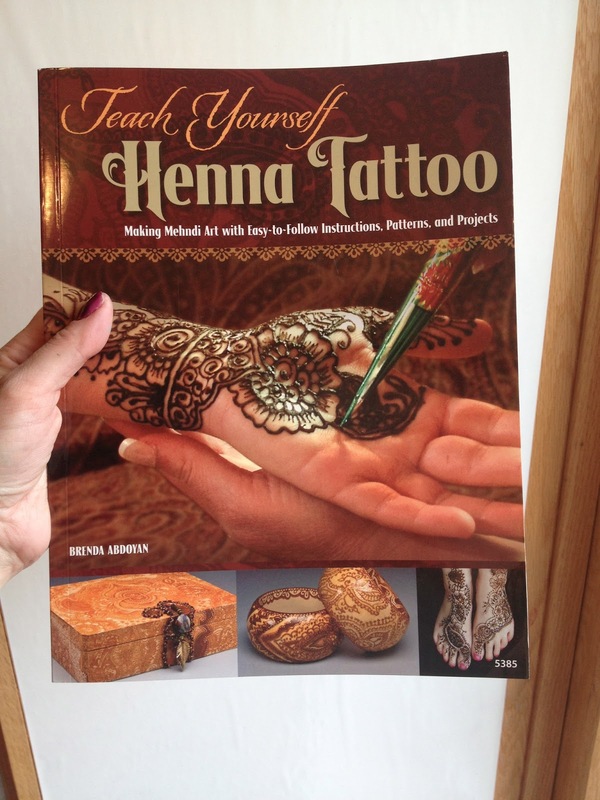 However, as you know from my previous book inspiration post, I love to draw inspiration from all kinds of sources. Flipping through this book prompted me to do the hand design that I posted yesterday. I LOVE all of the inspiration I find online these days, via Pinterest, Facebook groups, forums, etc. However, I feel that if I only draw inspiration from other face painters, I'll only ever create slightly different versions of what's already been done in the field. With yesterday's design is was really hard for me to stop without adding any white. Even my fellow retail display design colleagues and clients would attest to the fact that I can't create a product or display rendering without adding shiny spots, highlights, and bright reflections!! I just can't. And that kept me up last night, at least for a little bit. And today I figured, hey, this isn't henna, it is henna INSPIRED. Who says it can't have white...after all, I'm adding all this color too anyway. 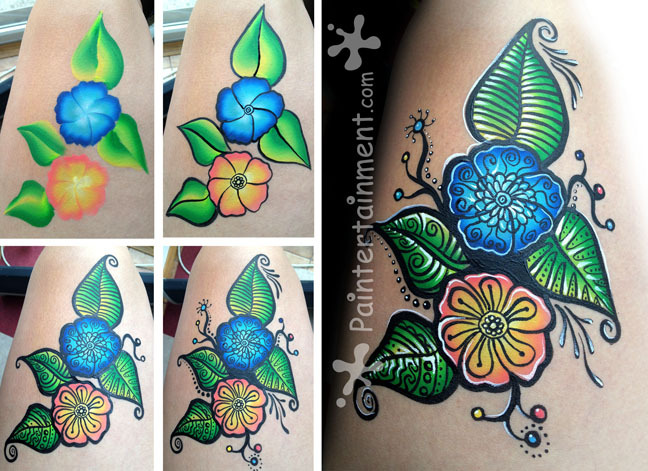 So here are my Henna inspired one-stroke flowers, feeling much more complete in my mind with some Wolfe WHITE! I could totally see this re-positioned to be a crown design, an eye design, or even a cheek design. 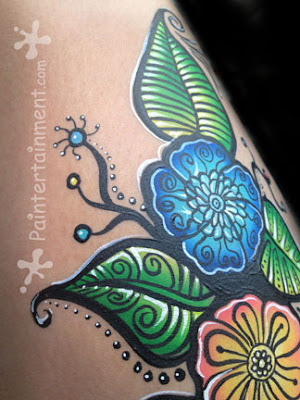 The blue flower was painted using my TAG Ocean one-stroke split cake, of course with the fabulous TAG one stroke brush. 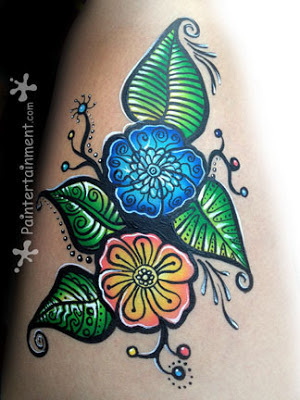 The other flower was done with TAG Tropical and the leaves done with TAG Leaf Yellow. All of the black and white are Wolfe, done with my Wolfe #1 synthetic round brush. That little trio I just can't live without. Or sleep without, as you now know. How dare I exclude the white like that?! Sorry, white. Please forgive me. I LOVE IT! I am so happy you turned your inspiration into such lovely art! My best wishes for all your artistic inspirations - Brenda Abdoyan, Author "Teach Yoursself Henna Tattoo"